Hire an incredible live wedding band in Sheffield or South Yorkshire. We've scoured the region to find the best bands ﻿who will make your event unique and memorable, and we've got acts to suit all tastes and budgets﻿. Superb rock, pop and soul party band featuring female or male vocals and drawing on a wide repertoire of tried and tested classics. Optional brass section, Jewish songs, cocktail piano, jazz duo and DJ sets! Hugely experienced wedding and function band featuring both male and female vocals, playing a great mixture of party classics and contemporary tunes. Outstanding party band playing chart, indie, rock anthems and Britpop and featuring guitars, keyboards and vocal harmonies for a big, versatile sound! Laptop DJ service available, as well as acoustic guitar or solo cocktail piano sets for your afternoon reception. Fantastic wedding and function band comprised of some of the UK's very best musicians, who have performed individually with The Temptations, Percy Sledge, Ben E King and Aerosmith. Fantastic 13-piece Rat Pack style big band with a superb male vocalist, playing classic swing band classics of the 30s, 40s and 50s, plus contemporary tunes from the likes of Michael Buble. Great gatsby jazz band boasting an extensive repertoire of instantly recognisable favourites. Perfect for 1920s-style events or garden parties. Unbelievably talented male-fronted cover band offering a feel-good, danceable set taking in everything from 60s classics to modern chart! Extra musicians, solo afternoon acoustic set and DJ service also available. Entertaining and stylish gypsy jazz group playing in the style of Django Reinhardt and Stéphane Grappelli in 1930’s Paris. Trio line-up also available. Experienced rock, pop, dance and soul band with powerful male vocals and expandable to an 8-piece featuring female vocals, keyboards and brass. Jazz duo also available for mellow background music during receptions or dinners. Midweek discounts available. We've scoured the nightclubs of the north for the very best live wedding bands in South Yorkshire, Sheffield and beyond, so you don't have to. Function Central specialise in acts who will make your event unique and memorable. All our Sheffield and South Yorkshire wedding bands have been handpicked from the competition to work with us, but we can still offer to match any offer you get from another agency. What kind of Sheffield wedding band should I choose? Most of the bands listed here are geared to evening wedding parties, where dancing is a must. But we have Sheffield wedding music for every other part of your day. Hire an acoustic guitarist to play your favourite song as you walk down the aisle. 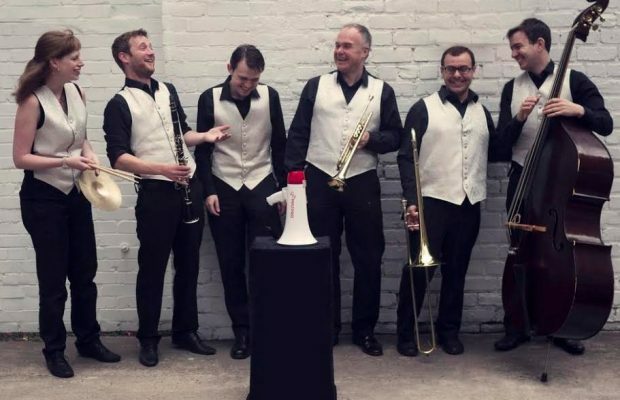 A Sheffield jazz band can help set a relaxing tone whilst your guests get to know each other over cocktails. If pop isn't your thing, how about a South Yorkshire ceilidh band or a modern brass and drums band to fill your dancefloor in the evening. Where do our Sheffield wedding bands play? Hire a Sheffield band to play anything you want, whether that means recreating the music that was playing when you first met or putting their own spin on a contemporary chart-topper. Our wedding bands have played in all the major towns and villages across South Yorkshire, including: Sheffield, Doncaster, Rotherham, Barnsley, Wath-upon-Dearne, Bentley, Wombwell, Chapeltown, Dinnington, Adwick-le-Street, Rawmarsh, Hoyland, Maltby and Conisbrough. Whatever Sheffield or South Yorks wedding entertainment you choose, you can be sure our acts will get even the shyest guests into the groove!